Giving up drinking for a month via schemes like Dry January or Dry July has never been more popular – but, it’s not always that easy to do. A mix of habit, willpower and our drinking culture can make giving up harder than you think. 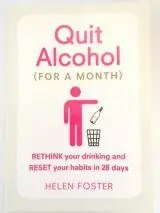 This book aims to help you stay on the wagon the full 28 days. 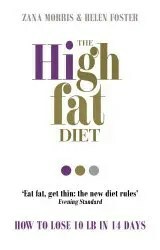 This groundbreaking book rewrites the rules of effective weight loss – quite simply, to burn fat you need to eat fat! Combining a unique nutrition plan that includes healthy, high fat recipes with a simple 12-minute high-intensity workout for the home or gym, The High Fat Diet will help you get permanent results fast. 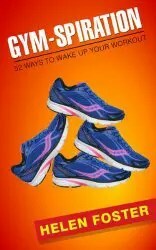 52 mini workout ideas that aim to break down barrier like tiredness, lack of motivation, boredom or simply, plain out being bored sick of going that stop people getting to the gym, heading out for a run or even just going for a walk. Its job is basically what this blog is all about, trying to put the fun back into exercise and give you a little mini challenge every time you lace up your trainers. Discover how to reinforce your body’s natural cleansing processes and boost its natural defences. 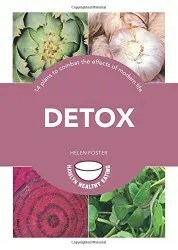 With simple recipes, step-by-step exercise and lifestyle tips to make detoxing easy and enjoyable, Detox is the perfect way to start to detoxing your life. The book contains 14 effective plans to target specific issues. Not all carbohydrates were created equal. Eating carbs that score low on the glycaemic index (GI) will make you lose weight and gain energy. 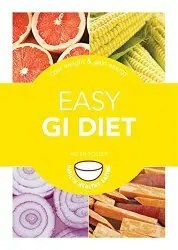 This easy-to-follow guide features four great diet plans: the Genius weight-loss plan; the Vegetarian weight-loss plan, the energy boosting Galvanizer plan and the GI for Life plan to maintain your new figure.